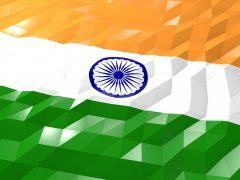 Spoon is a new Indian micro lending firm in the works, targeting a near-future launch of its mobile app that aims to make micro loans accessible throughout its home country. The firm says that it is targeting millennials, making the service available via mobile 24/7, 365 days a year. Sasidharan founded Codeister Technologies, being CEO of the firm. Its first product was an expense tracker for the Android app with digital wallet support. Codeister Technologies was acquihired by CareStack – a tech provider for the US dental market. Sasidharan then became a software engineer for the firm. The firm delivers the lent money to the user’s e-wallet. Through the app, users may upload a selfie and a photo of their Aadhar Card and PAN Card to complete the application process. The loan will get credited to their account in 48 hours, if approved.